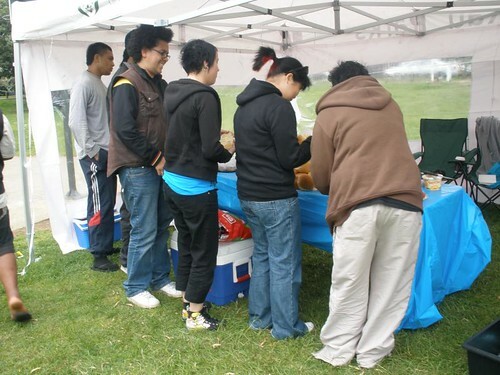 We were so fortunate with the weather – not a drop of rain all weekend long! 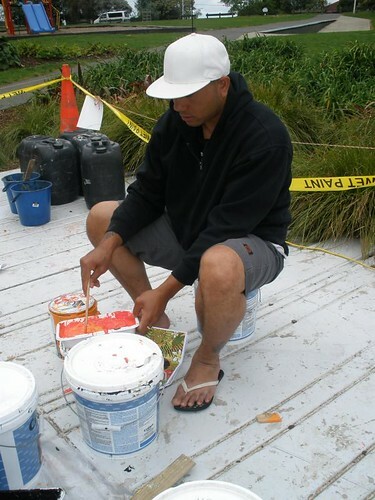 Packing in for a second day of painting. 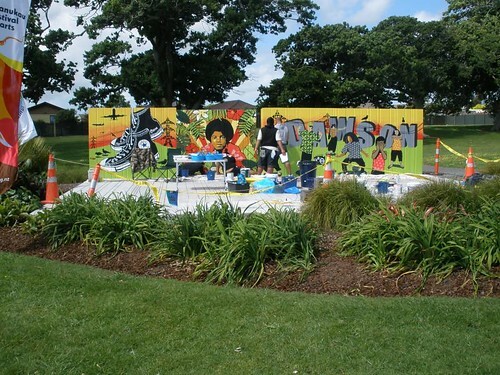 Team MJ were keen to complete the iconic wall! 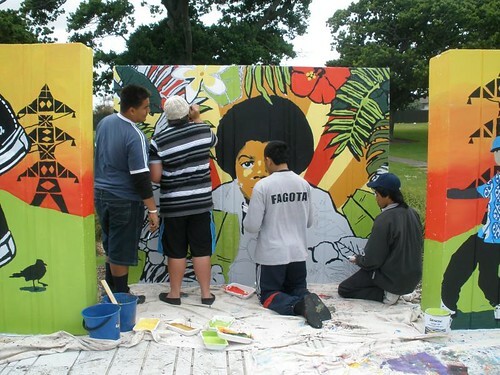 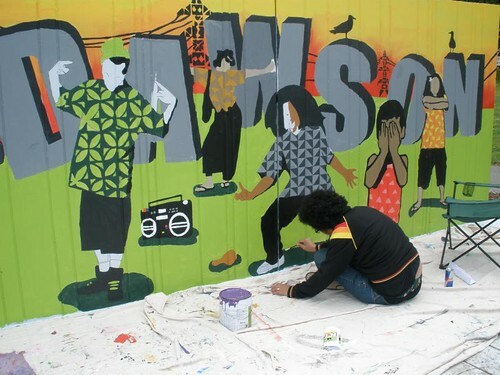 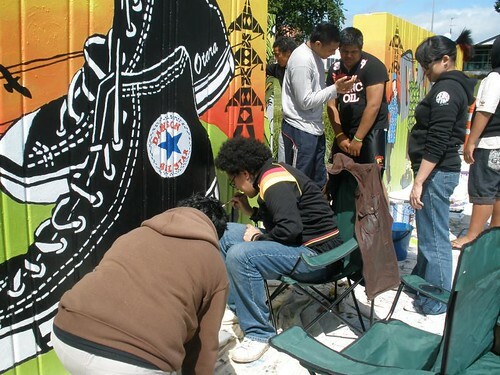 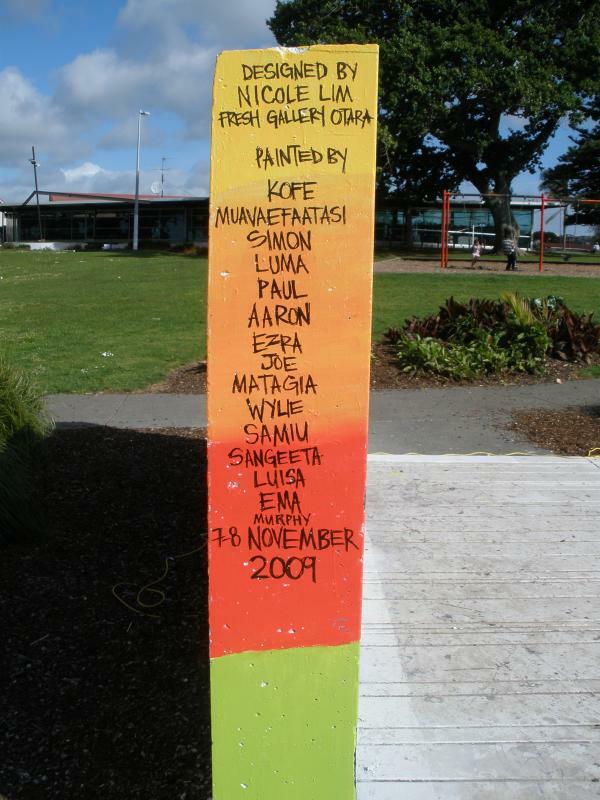 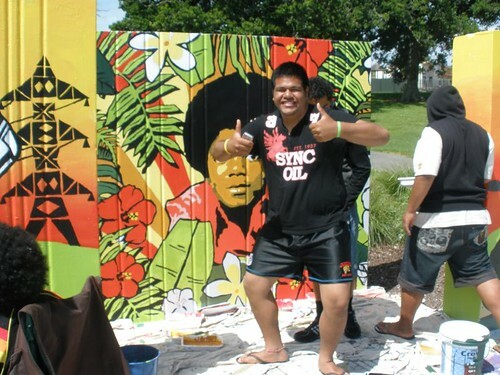 The Dawson Road Mural Project was informed by a series of interviews done in the park and at Tupu Youth Library in August by video artist, Janet Lilo. 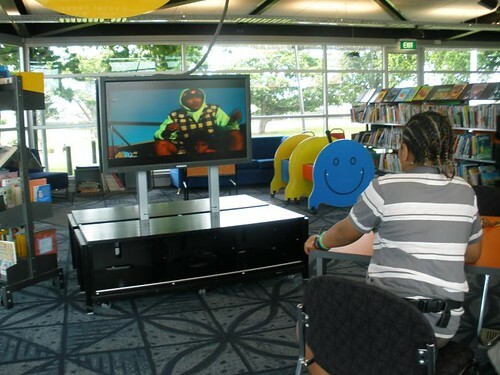 The 9 minute video screened on Tupu Library’s flat screen TVs on Sunday. 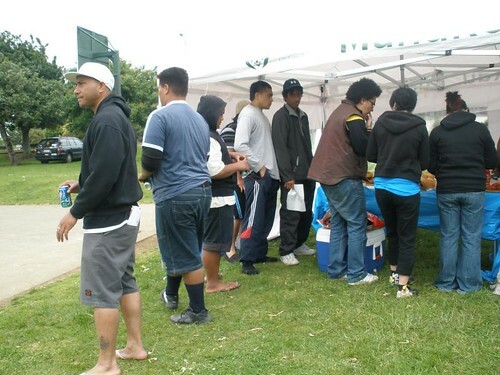 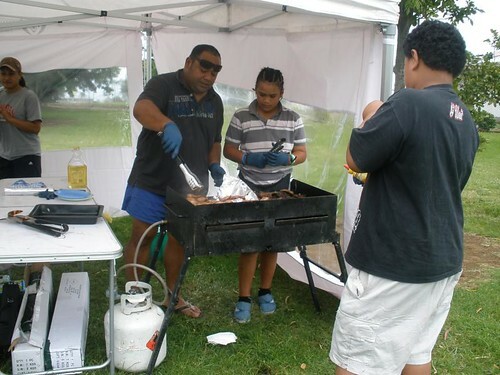 LUNCH TIME // Supplied by Manukau Parks, lunch was prepared by awesome local volunteers Ioka + Solo Suamasi with help from Lawrence and Tuakive, thank you thank you thank you // MUCH appreciated! 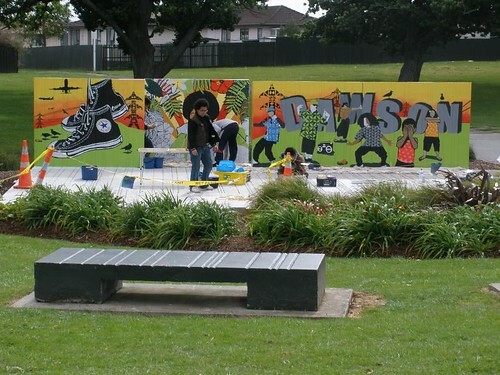 At about 4pm, Sunday 8 November, the mural was officially completed… volunteers, artists and supporters did an AWESOME job! 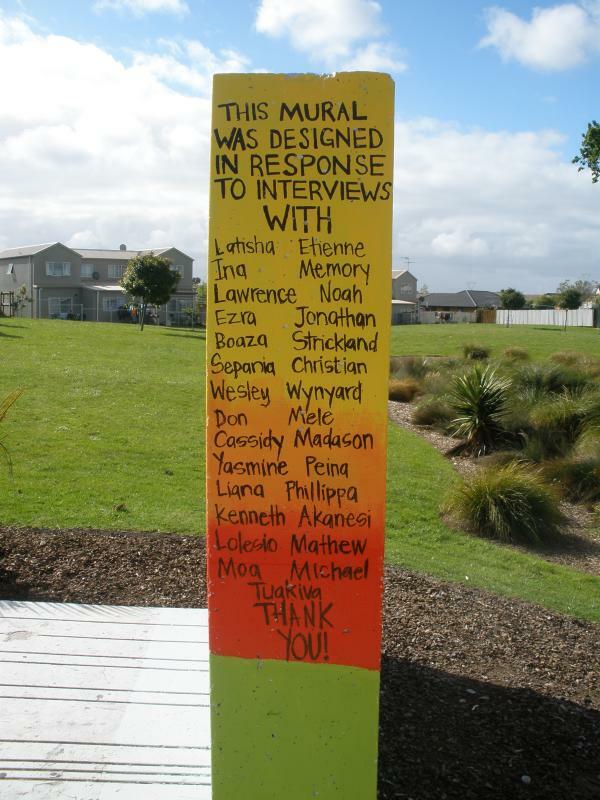 The two inside walls of the structure acknowledge all those involved with the video interviews and those involved with the design and painting – each person contributed to the finished outcome // THANK YOU THANK YOU THANK YOU! 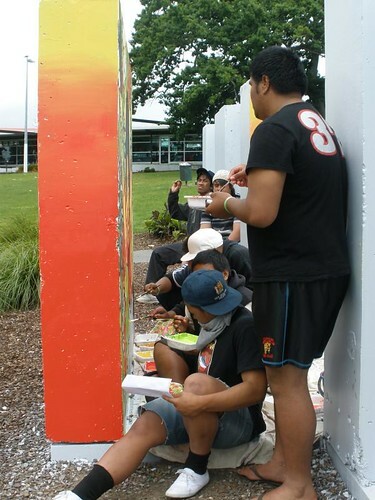 « Day 1 // Painting begins!